There is no shortage of automobile dealerships in any area of the country. The ability to have customers who return to your dealership, again and again, begins the moment they arrive. A sincere display of interest is the only way to create a relationship with any customer. The job of a salesperson isn't to push a customer into the most convenient sale. It is to learn the customer's needs and find the vehicle and continued services to precisely meet these needs. These dealership solutions can help you provide customer service that will ensure continued visits and purchases in the future. Your customers spend a considerable amount of money on your product. Automobiles are expensive and not every dealership is known for honesty. Trust is probably the biggest motivator for return business in the automotive industry. Vehicles, repairs, and the related F&I products are all tightly associated with dependability and safety. Showing your customers you understand and can meet this need for safety will allow them to build trust in your dealership and help you to maintain customer loyalty. Dealership managers and employees are well educated on every detail of the process of purchasing and maintaining a vehicle. It's easy to forget the customers don't have this information as well. Purchasing a vehicle can be a stressful situation. Ease this discomfort with a thorough explanation of each step of the buying process and the valuable future service your new customer can expect. Most car buyers understand the price they see on the window in the parking lot isn't the final price they'll pay. However, it's overwhelming to try and figure out everything that goes into a car purchase. Most buyers are likely to be completely unfamiliar with the value of F&I products, or even what the term means. A sales team that converts the entire purchase to understandable terms wins valuable points in customer loyalty. A customer who understands exactly what they paid for knows they can trust your dealership. Attentive listening is vital during every conversation with each customer. Customer feedback is an opportunity to organically achieve customer retention. Customers come to your lot to buy a car or for continued service. If you notice a customer is unhappy, you have a valuable opportunity to gain understanding about how to improve your dealership. Taking a little extra time not only makes one customer feel heard, but it also gives the entire team a chance to improve overall service for future customers. Today's technology gives every business the ability to bombard your customers with suggestions to make their next purchase elsewhere. In this atmosphere, it's vital that you don't give your satisfied customers time to forget about your dealership. Many customers begin their car search on a mobile device. Use this to your advantage when you continue to reach out to your current customers. Emails, social media, and newsletters are all valuable ways to connect with current customers. Customer service doesn't end when an initial sale is complete. 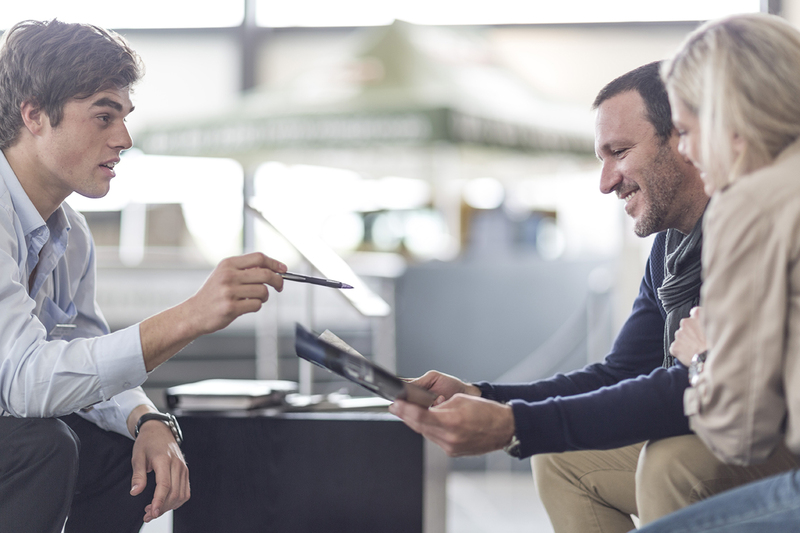 Following up with your customers is a valuable way to remind them of the positive experience they had at your dealership. A positive follow up relationship isn't restricted to the announcement of new sales. Share in your customer's experience with anniversary cards about their ownership, follow up inquiries about satisfaction, newsletters, and even birthday cards. This type of follow up correspondence initiates a positive ongoing relationship with each customer. Customer retention is a vital part of your dealership success. Not only does it give you the ability to make future sales to the same customer, you develop an opportunity to access customer referrals. Vanguard Dealer Services can help you navigate the elements of continued customer satisfaction to ensure your customers keep returning to your dealership. For more information, please contact us today.